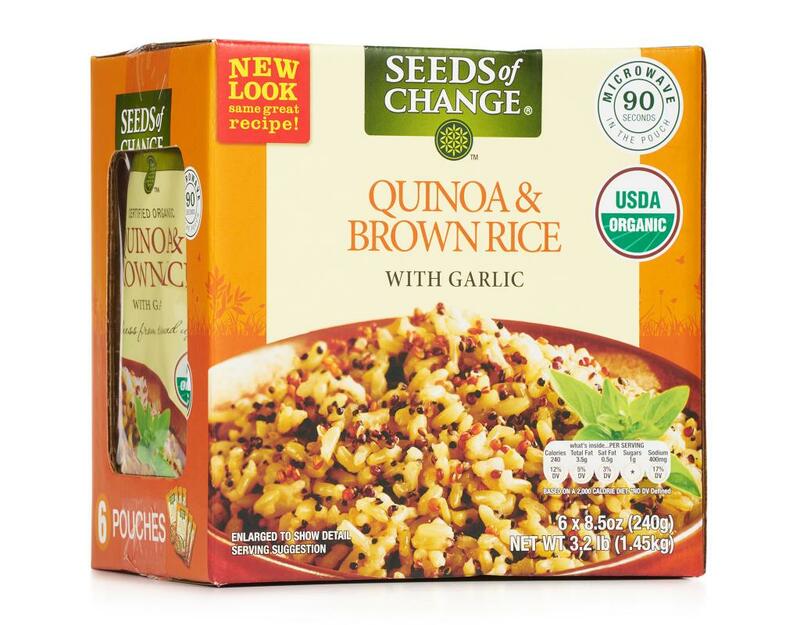 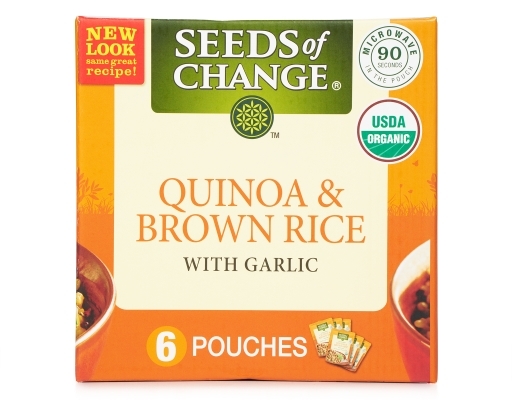 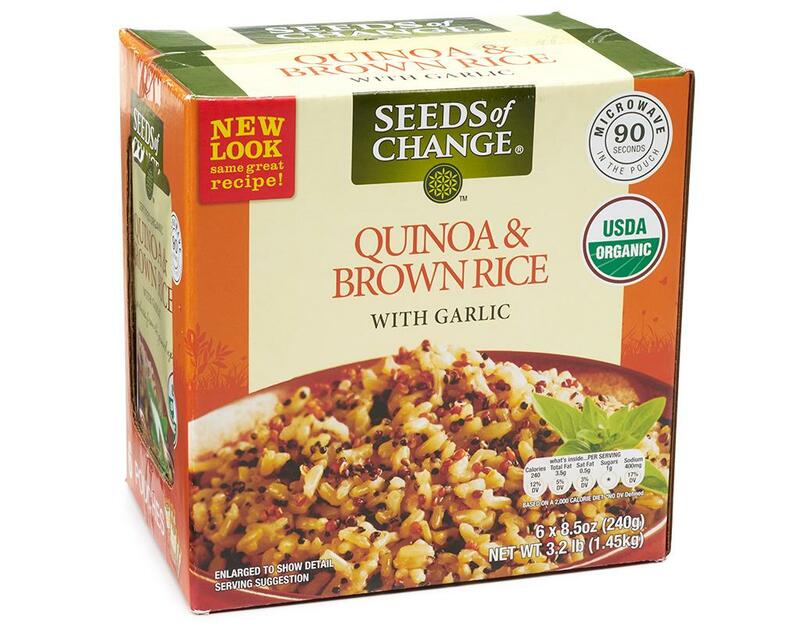 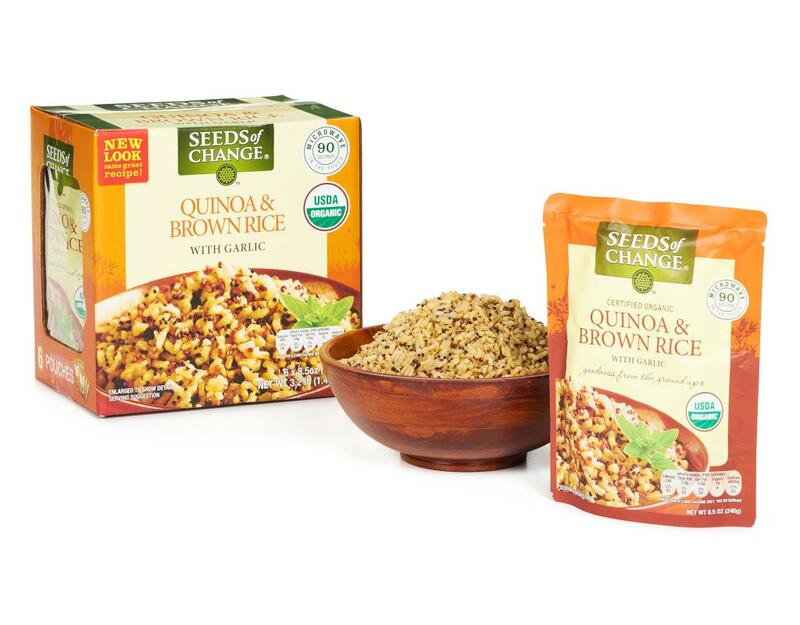 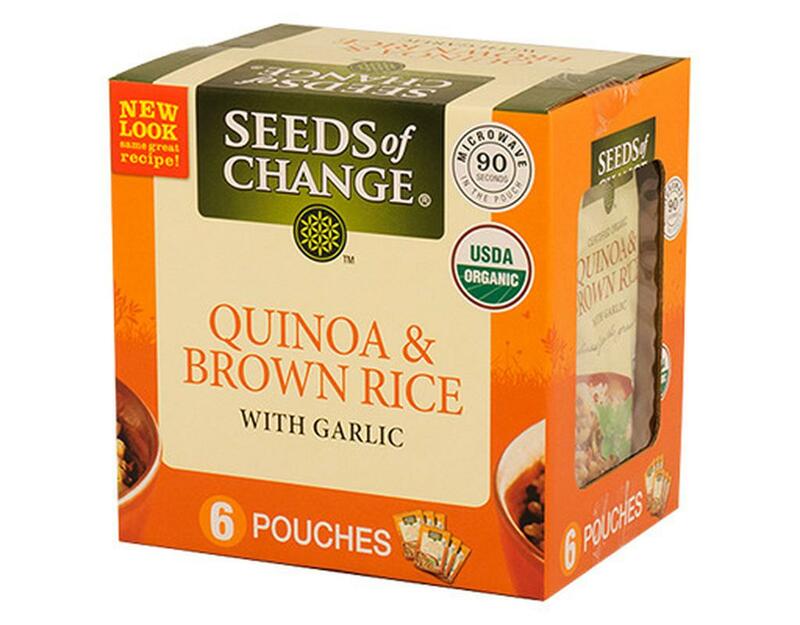 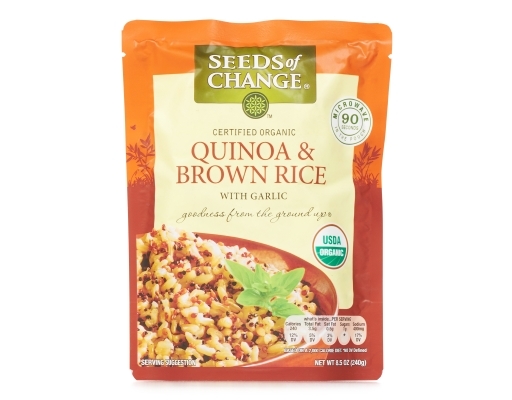 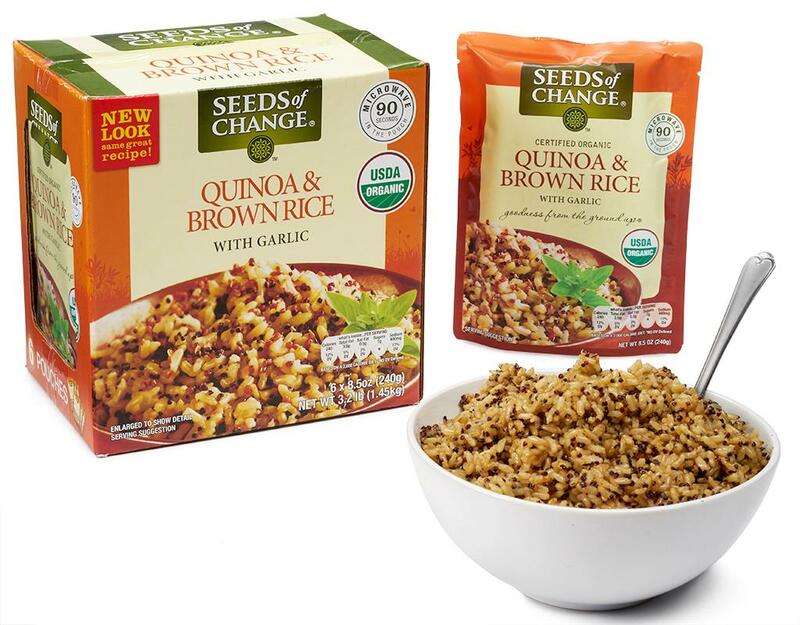 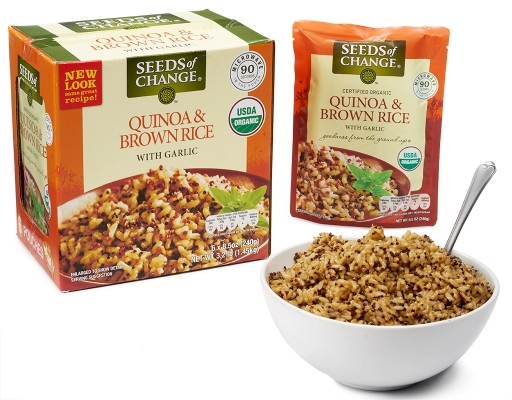 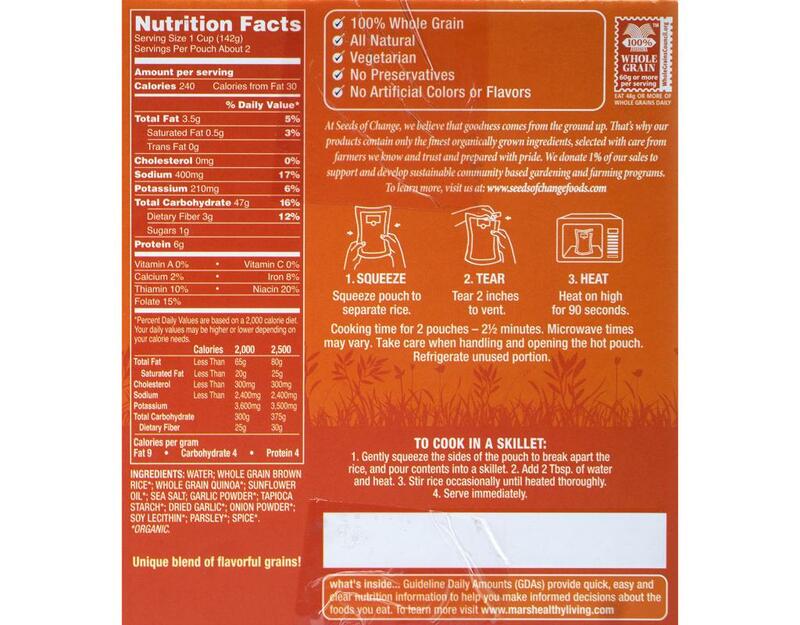 Seeds of Change's Quinoa & Brown Rice with Garlic is the perfect tasty, organic, healthy and fast addition to your dinner plate. 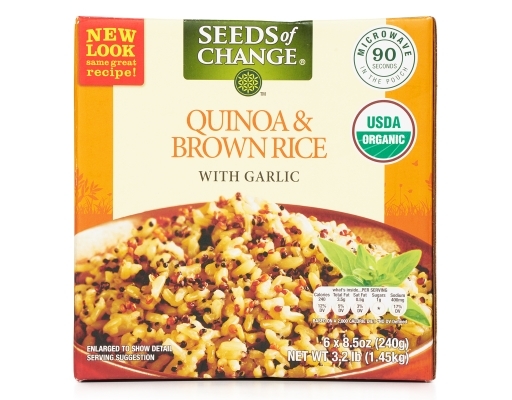 What do you think of when you think of the Andes? Treacherous, wind-swept peaks? 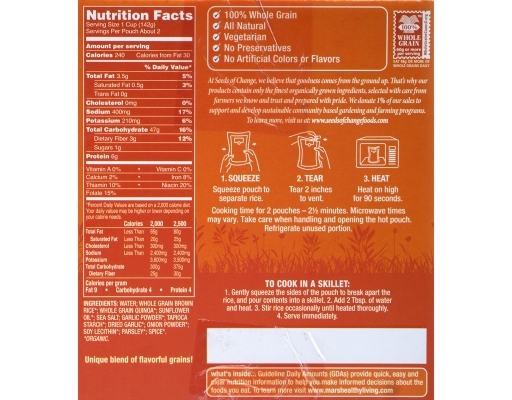 At 13,000 feet, it can be gusty on the Uyuni Salt Flats. 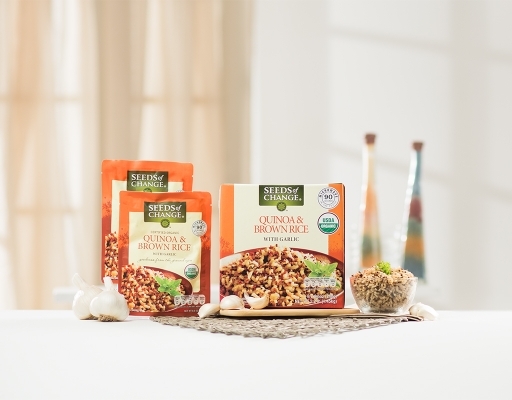 But for the people of the Bolivian Altiplano, the tradition of cultivating Quinoa has endured since the time of the Incas. 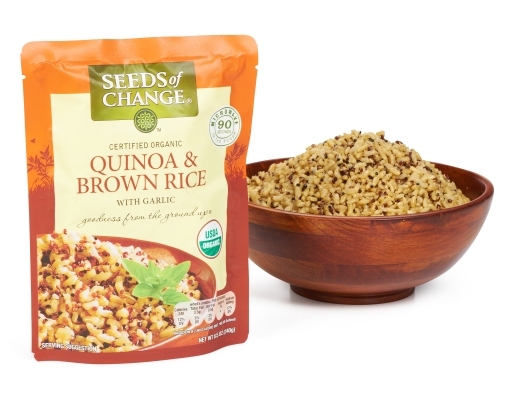 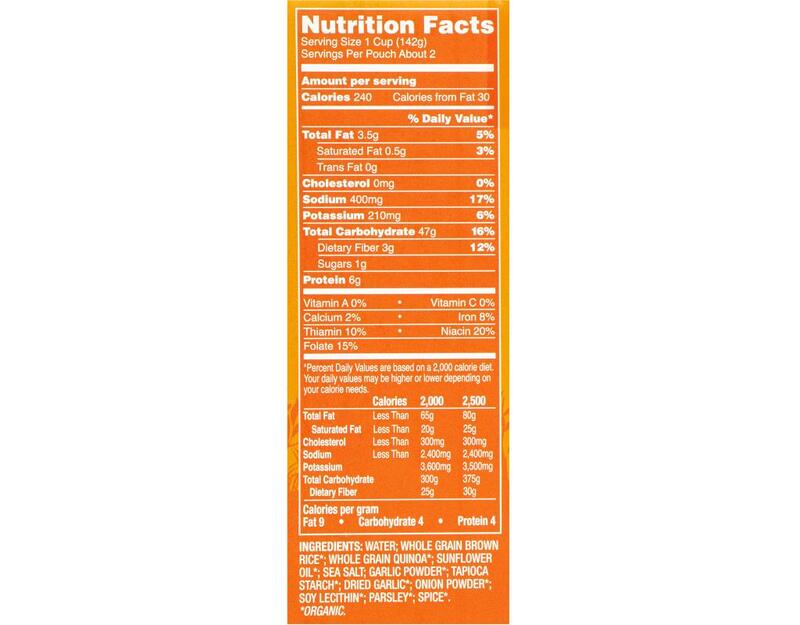 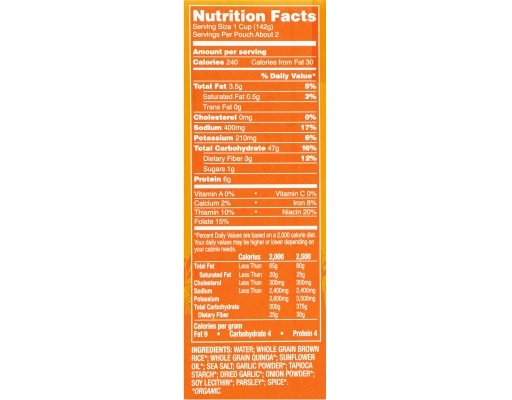 And it's this tradition that brings us this deliciously fluffy and exceptionally nutritious supergrain. • Seeds of Change products contain only the finest organically grown ingredients, selected with care from known and trusted farmers and are prepared with pride.